Whether you’re starting a new company, opening a subsidiary or satellite office, or setting up a custom organization, there are a few legalities to keep in mind. Luckily, Flanders’ legal system is both business- and trade-friendly. Find out all about it here. Interested in starting operations in Flanders? The main types of business entities in the region are branches and subsidiaries. Each of which not only differ in their corporate requirements, relationships to parent companies, and tax obligations; they also come with their own set of benefits. 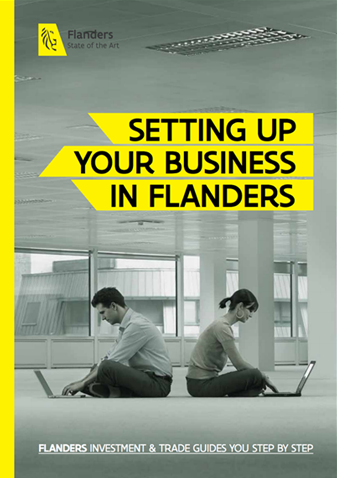 Find out more about the types of business entities in Flanders. This legislation concerns the trade of goods between EU and non-EU countries, and relates to tariff measures, import quotas and measures intended to safeguard public health. Flanders is an extremely trade-friendly region with a transparent, centralized, business-oriented approach to customs. Import and export through Flanders have been streamlined for the smooth movement of goods. Find out more about customs legislation in Flanders. The Belgian Federal Government oversees all competition policy and makes all decisions related to it. Mergers and acquisitions may not reduce competitiveness of the Belgian market, and notifications of mergers and acquisitions must follow specific procedures. Intellectual property rights, the domain of the Belgian Court, are protected in the form of trademarks, copyrights, patents and other specific protections. Learn more about protection and relevant contacts. New companies in Flanders must adhere to certain environmental regulations before they begin their business activities, which could include applying for environmental and building permits, and other activities such as recycling and soil restoration. The Belgian Government and regional governments collaborate to oversee the application of these regulations. Explore environmental regulations, permits and related obligations.